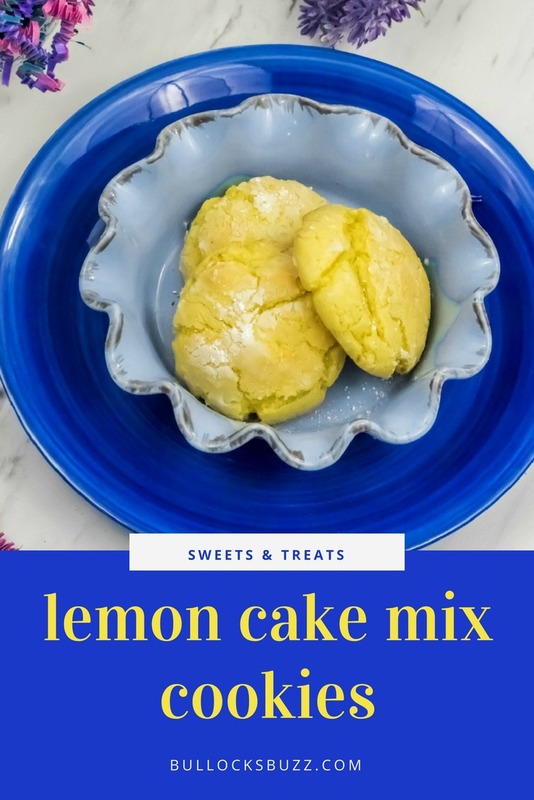 Soft, chewy, and easy-to-make these Lemon Cake Mix Cookies are perfect for any time you want a sweet treat. 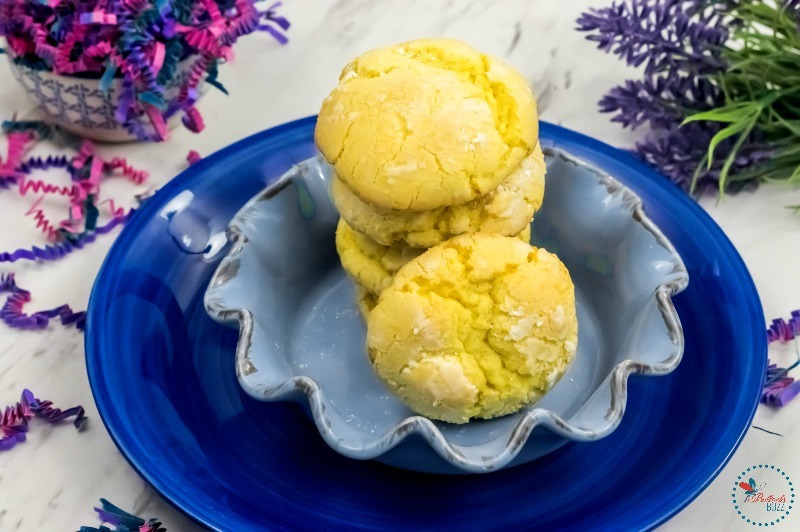 Lemon Cake Mix Cookies – A Sweet Treat in Just 30 Minutes! The other day I was craving cookies big time! 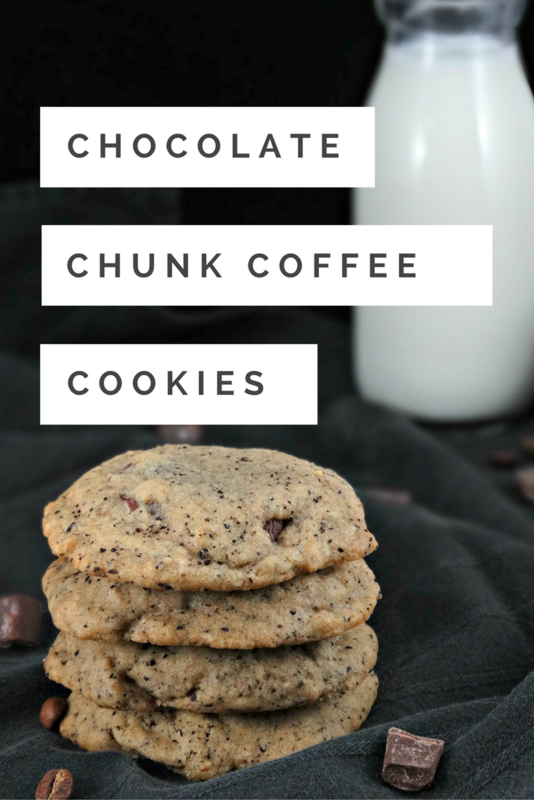 Since I didn’t have all the ingredients to make my go-to Double Chocolate Chip Cookies, I decided to try something a bit different. I remembered hearing about the cake mix cookies that so many people rave about, but I’d never tried them. Luckily I found a box of lemon cake mix in the pantry, some eggs in the fridge, and oil and confectioners sugar in the cabinet. I put them all together and less than thirty minutes later I had some of the most yummy cookies ever! 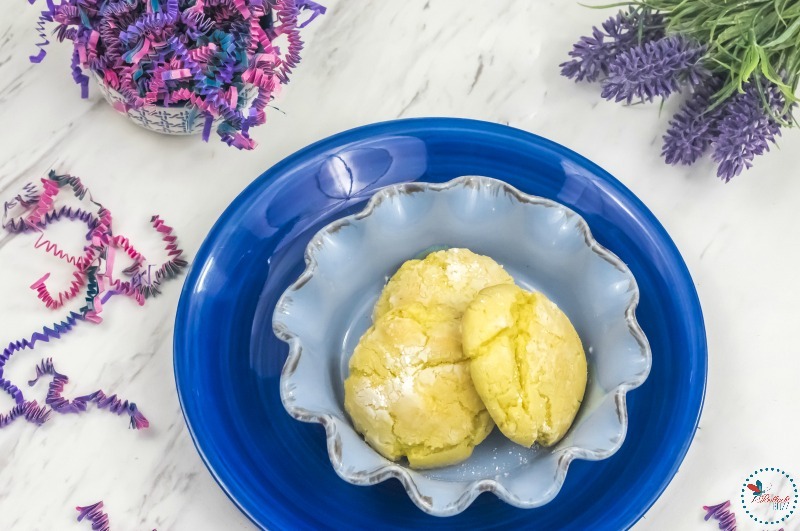 These cake mix lemon cookies are everything you want and more! Soft, chewy, flavorful and incredibly simple to make. All you need is three ingredients and a bout twenty minutes. They are a fantastic, no-fuss treat everyone in the family will love! So easy, so delicious, and so fun! Feel free to add sprinkles to the mix, glaze them, or just cook and eat them plain. I promise they won’t last long. Preheat the oven to 350 degrees and line a cookie sheet with a silicon liner or parchment paper. Add the powered sugar to a bowl and set to the side. In a large mixing bowl add the cake mix, oil and eggs. Mix well until a very sticky batter/dough is formed. Next scoop a heaping tablespoon of the batter into the bowl with the powdered sugar. I found the using a cookie scoop really helped to make this easier. If you don’t have one, use two spoons. Now, roll the batter around to completely coat it with the powdered sugar. Place it on the prepared cookie sheet, and repeat with the rest of the dough. I left about 2.5 inches in between each cookie. Bake for 7 to 9 minutes, then remove from the oven and leave on the sheet to set for about five minutes. Next, gently transfer to the cooling rack to cool completely. *Leftovers can be stored in an airtight container in the refrigerator for up to 2 weeks. In a large mixing bowl add the cake mix, oil and eggs and mix it well until a very sticky batter/dough is formed. Next scoop a heaping tablespoon of the batter into the bowl with the powdered sugar. I found the using a cookie scoop really helped to make this easier. If you don't have one, use two spoons. For a fun twist, try adding sprinkles to the mix! Cookies can be stored in an air tight container. 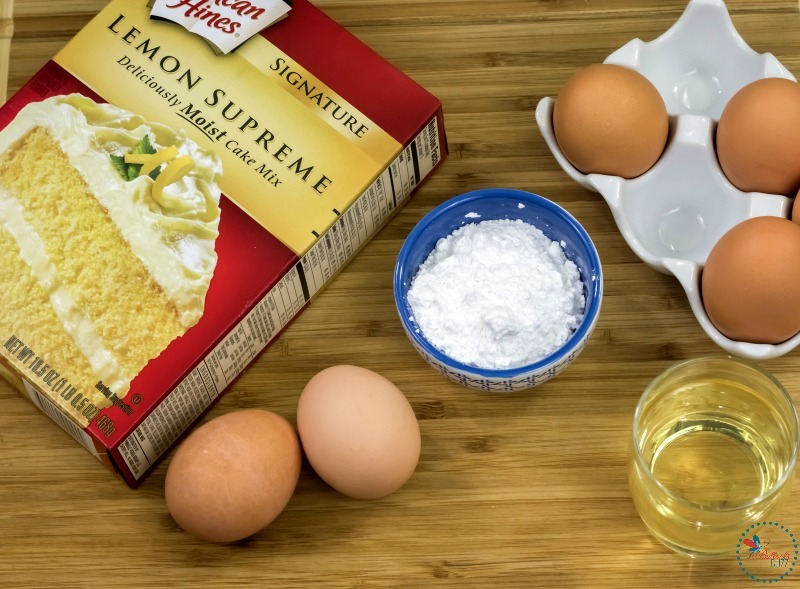 Like this Lemon Cake Mix Cookies recipe? 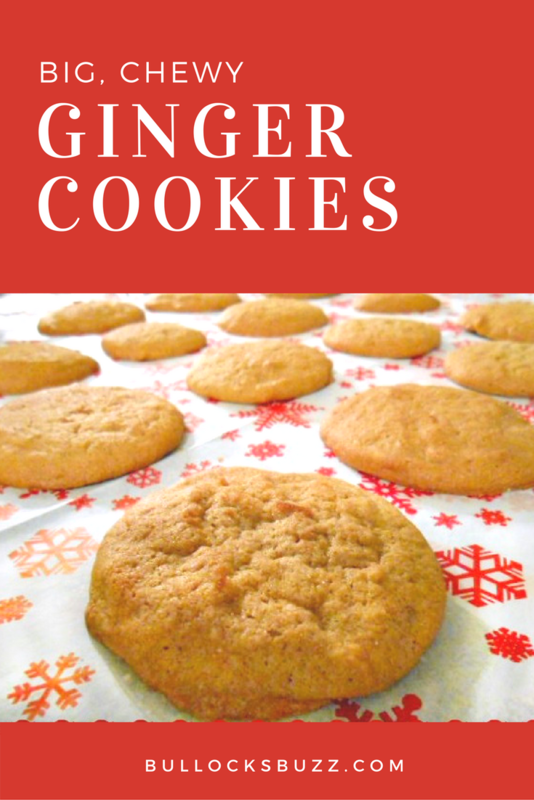 Then you’ll love these other cookie recipes, too! Simply click on the name or the picture to go to each recipe.